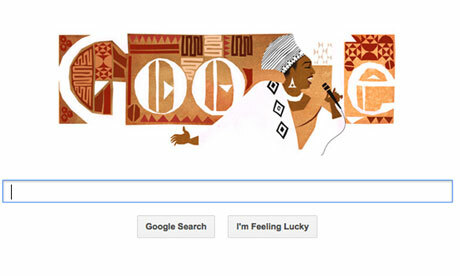 The birthday of Miriam Makeba, the late singer and civil rights campaigner, has been commemorated with a Google doodle. Makeba was born in Johannesburg on 4 March, 1932. In 1960, the South African government cancelled her passport to prevent her returning to her home from her travels overseas. She returned after the release of Nelson Mandela in 1990. She initially sang jazz but later became an exponent of what became known as "world music". She performed with artists such as Harry Belafonte, Paul Simon and Hugh Masekela, her first husband. Other husbands included Stokely Carmichael, a leading member of the American Black Panther movement. In 1962, she performed at President John F Kennedy's birthday party. Makeba died in Italy in 2008 during a performance for Roberto Saviano, the author of Sodom and Gomorrah, who lives in hiding after writing about the activities of the Neapolitan mafia, the Camorra.